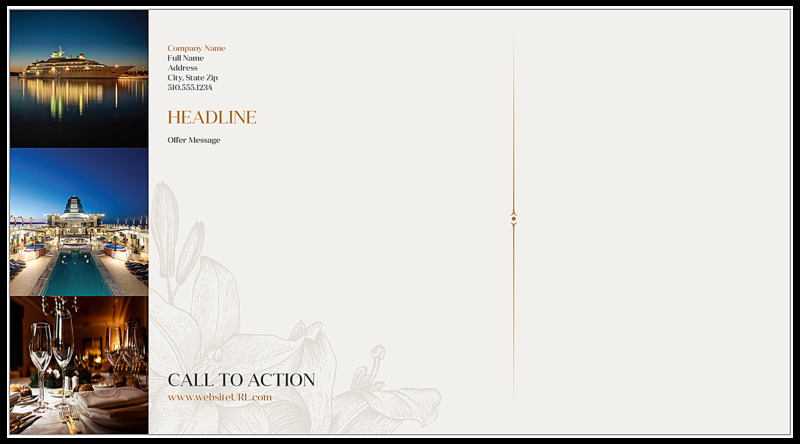 Our Lily custom postcard design template is perfect for sending elegant wedding invitations and invites to other events, and also makes a great postcard for any type of business that wants to lend a sense of opulence to the customer experience: restaurants, hotels, boutique fashions, cruises, vacation destinations, resorts, and more. 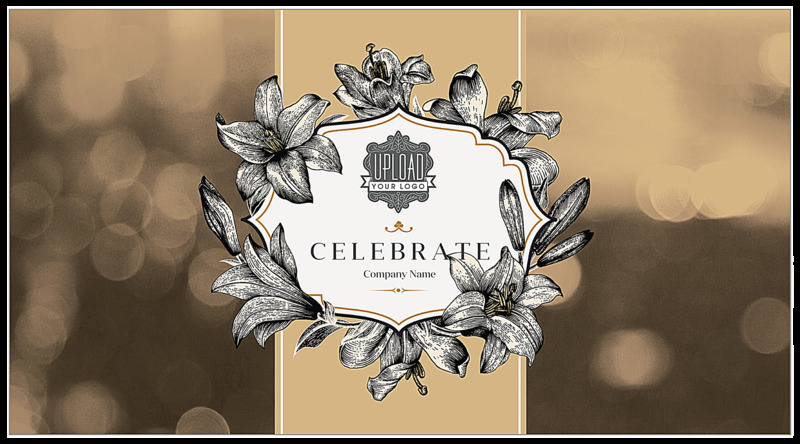 The front features your logo and custom text inside a edge-lined badge, wrapped with elegant lilies over a vertical banner backdrop with a soft bokeh-inspired background. The back lets you showcase three vertical photos and a call to action over a lily watermark. Available in five different color schemes, you can customize our Lily postcard design template with our easy-to-use design tool today! Our online postcard maker is the fastest and easiest path to custom postcard printing. Personalize your postcards with your own images, logo, headline, special offer, and call to action – whatever you want! Simply pick your color scheme and let the design library walk you through customizing each design element. When you’re done, download a free PDF to share and get feedback before printing postcards. PsPrint’s dedication to quality and customer service are unparalleled in the printing industry. When you print custom postcards with PsPrint, you can count on high-quality printing and excellent value, all backed by our 100% customer satisfaction guarantee! Postcard printing isn’t all we do. In fact, we’re your one-stop postcard print-and-mail shop! Let PsPrint handle not only your postcard printing but also your mailing list generation, postcard addressing, and mailing so you can create your design, select your options, then sit back and relax knowing our custom printing team is hard at work to deliver a powerful direct-mail marketing campaign for your business.